The United States comprises about 5% of the world’s population. However, Americans consume an far more than that share of the world’s food, water, and energy. They also generate a lot of emissions and garbage in the process. 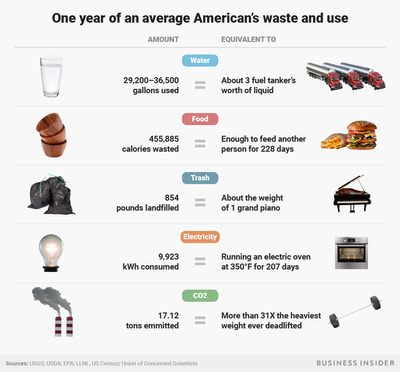 In honour of Earth Day, a revealing chart shows how many resources the average American uses per year. 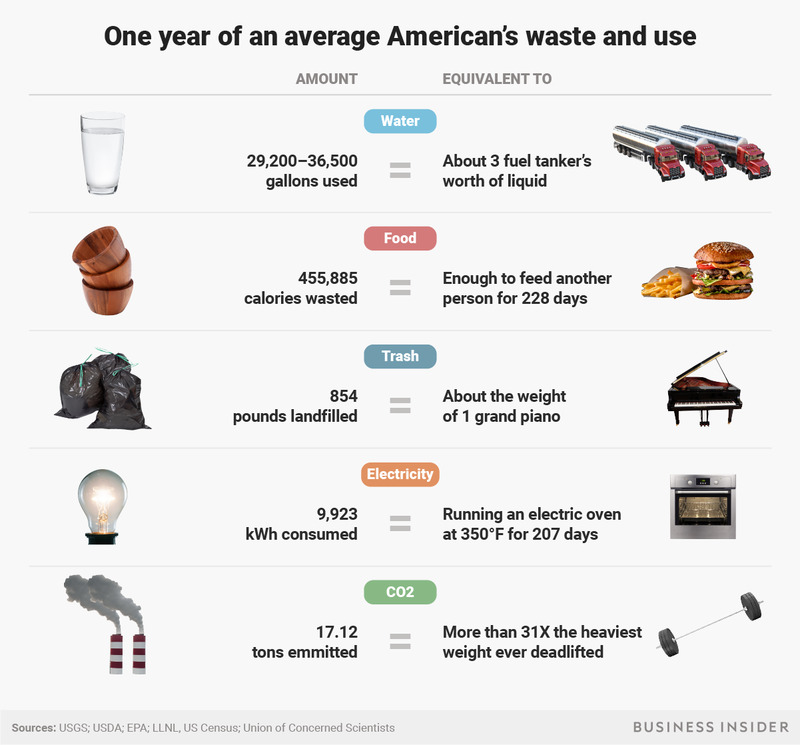 America’s thirst for resources seems unquenchable, and its ability to generate waste can be shocking. In 2015, for example, 5% of the world’s population lived in the United States, but the country consumed about 18% of the planet’s energy, according to EIA data. 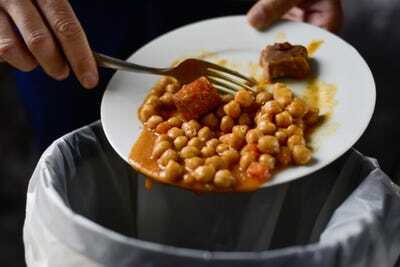 Meanwhile, Americans in 2010 had a 430-billion-pound bounty of food, yet wasted about 31% of it. That’s roughly 141 trillion calories’ worth of grub, according to USDA statistics.